The dreamy answer when you wonder what your bed’s missing. 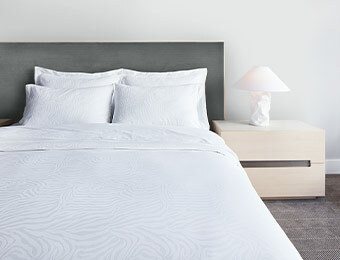 When life gets busy, cherish your downtime with this urbane bedding set. 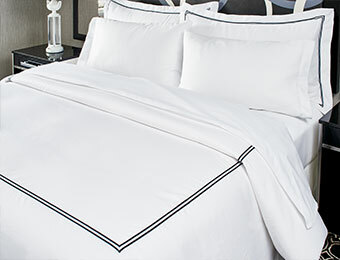 This double-line black embroidery set is your total bed makeover. It’s all about stripes – and this bedding set has the coolest. 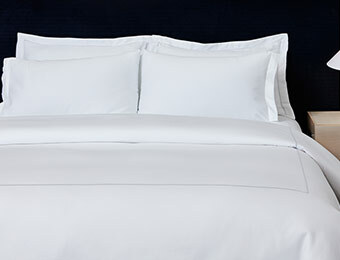 Transform your bed into your personal cocoon, top to bottom. 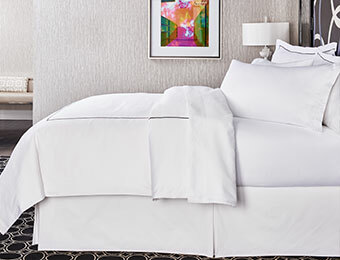 From featherbed topper, sheets and pillows to Frette embroidered duvet cover and shams—a Kimpton hotel bedding set includes 16 elegant pieces in all.